Lumay Barreto (MUD-Voluntad Popular), mayor of Guasdualito (Apure State). The PSUV-controlled municipal council ousted her from her post last week. Last week, the municipal council of Guasdualito, deep down in Apure State held a special session to oust mayor Lumay Barreto. With the vote of five of its nine members, the PSUV majority declared that Barreto, a member of Leopoldo López’s “Popular Will” (VP) party, “abandoned her post,” and named one of their own as a temporary replacement. They also requested the TSJ give them legal confirmation in order to call a new election. Barreto decried this decision, calling it illegal. According to her, she left her post for only five days with prior notification, and she left the Municipality’s Administrator in charge, as the Municipal Power Law establishes in its Article 87. (The same article also says that the local council can only declare temporary abandonment of the post after 15 days, and full abandonment after 90 days). Regardless of the legal implications, and Barreto’s insistence that “she’s still in charge,” sadly it looks like her dismissal is almost a done deal (Do you really expect the TSJ saying otherwise? THIS TSJ?). Putting the issue of Barreto aside, is this a “smoke-screen” by the central government? Or is just part of a legal offensive against other VP mayors? 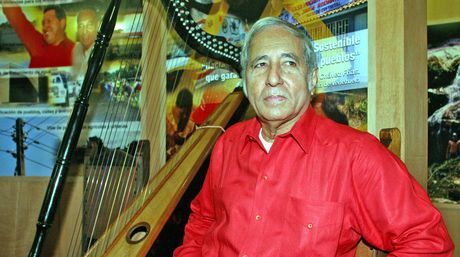 After all, San Cristobal’s Daniel Ceballos continues in jail, and Maturin’s Warner Jimenez is facing legal threats from his local council. 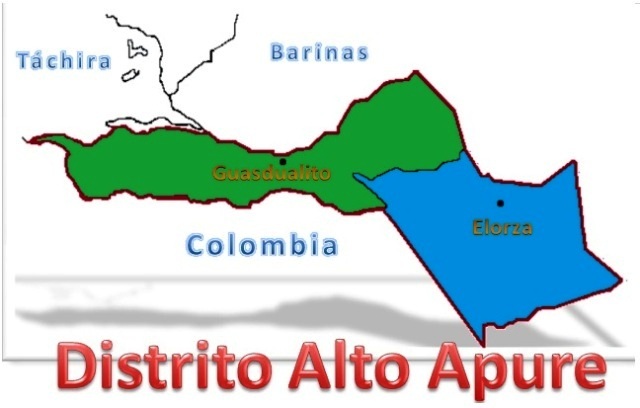 The Alto Apure district is one of two special districts in Venezuela (the other being Metropolitan Caracas) where there are mayor in each municipality, but also a “Major Mayor” (Alcalde Mayor) for the entire district. That is why, for example, in Caracas you have mayors for the different municipalities, but then there is Antonio Ledezma, mayor of Caracas at large. (Well, he’s in jail, so never mind). The district has two municipalities, as shown in the map. In the municipal elections of December 2013, Chavismo split in the Alto Apure “Major Mayor” race: The PSUV-GPP on the one side, and two-time District Mayor Jorge Rodríguez Galvis (the father of former Interior Minister Miguel Rodriguez Torres) on the other. 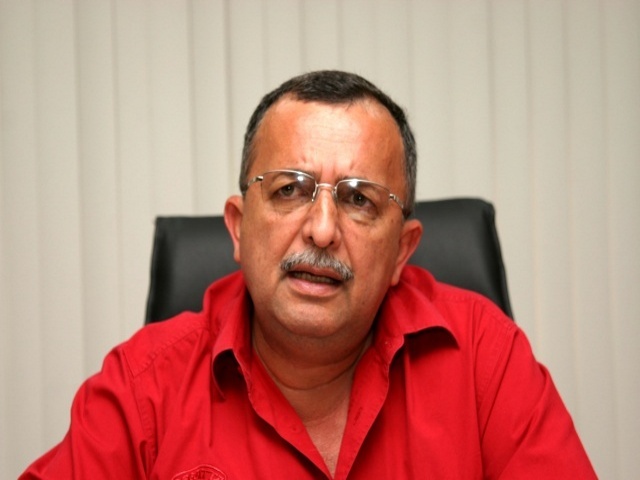 As the PSUV-GPP coalition refused to back him for a third term, Rodríguez Galvis ran with the support of the dissident Chavista party VBR (Vanguardia Bolivariana Republicana). The results were a mixed bag: Rodríguez Galvis won re-election easily. Meanwhile, the PSUV candidate won in Elorza by a very narrow margin over the dissident adversary, but Chavismo’s internal split allowed the victory of the opposition in Guasdualito, by a small margin as well. In the end, the electoral wealth was shared, but that didn’t calm the political waters in the Alto Apure. Or in Apure State. Quite the opposite. Enter Apure State Governor Ramon Carrizales, former Minister and Vice-President (2008-2010). The Guarico-native was sent in 2011 to Apure to replace the then-Governor Jesus Aguilarte, who resigned citing “health issues”. (More than one year after that, Aguilarte was shot several times inside a Maracay fast-food place, and died of his wounds one week later). Carrizales was easily re-elected in the December 2012 regional elections, riding on the cottails of the comandante eterno’s big electoral swan song two months earlier. But he was challenged then by a dissident candidate who got a little more than 10% of the votes. Not much, but a clear signal that Chavista unity in the llanero state was far from perfect. In early 2014, Rodriguez Galvis complained to his son (then Interior Minister) that food smuggling in the State was out of control, and that “80% of groceries going to Mercal public markets ended up on the other side of the border”. Carrizales fired back, dismissing Rodriguez’s claims, and accusing him of being embedded in corruption. Later that year, there was an alleged attempt to kidnap the Interior Minister’s brother Juan Carlos Rodríguez Torres in Elorza by a local chavista group known as Corriente Revolucionaria Bolívar y Zamora (CRBZ), which supports Carrizales. In response to this, chavista state legislators accused “the Rodríguez Torres family” of using the Criminal Police (CICPC) to intimidate communal councils and PSUV sympathizers. This year, the fight has really intensified: Rodriguez Galvis called Carrizales “the head of food and gasoline smuggling in the State”, during a radio interview. He also accused Apure State Police (along with the military) of pushing out 100 families of the “Hato La Cañada Avileña” (seized by the central government years ago) and burning their homes. Carrizales defended his actions by calling the occupants “squatters,” and the CRBZ (represented by the National Assembly Deputy Orlando Zambrano) called it “an rehersal of a guarimba campesina” by the Alto Apure Mayor. Is Lumay Barreto’s sudden sacking part of this internal struggle? Maybe. Maybe not. It’s hard to say but there’s evidence that either favors or discards this theory. Perhaps this is all one big political “contrapunteo” between both men. But this one isn’t made up verses but with actions. The goal is still the same: coming out of it as the winner.